There’s no shortage of bad smells in our apartment. This in most part is due to our downstairs neighbors, who always seem to be deep frying a diaper. At least that what it smells like. 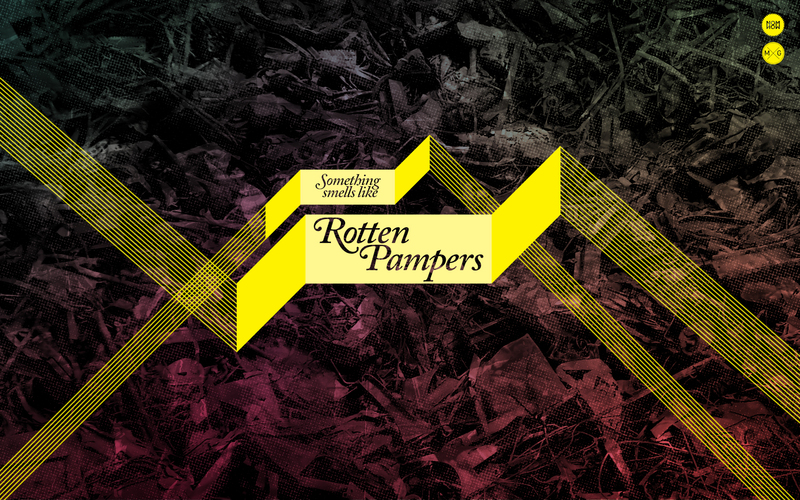 The term “rotten pampers” soon got coined and ever since it’s creation, it’s made me laugh. Whether someone else says it, I say it, or I just think it, I usually blow my cool. It’s thankfully been a good way to make light of the fact that at certain times it honestly smells like rotten pampers. Anyway I don’t know who else would have an interest in this, but I wanted to make something cool involving this small piece of insanity within my life. Click for full size, and save as wallpaper from there! This entry was tagged bad, banner, bcdq, design, fried, garbage, graphic, Graphic Design, gross, half tone, matt goold, MG, nasty, Nom Now, pampers, rotten, smell, wallpaper, yellow. Bookmark the permalink.